The following discussion will explore Dysport and Botox Cosmetic in the United States, stressing the differences and the similarities between them. The discussion will begin with the similarities between Dysport and Botox. Both of these roducts, Botox and Dysport, are neurotoxins. Specifically, they're type A Botulinum toxins that are Citicholine release inhibitors. Both therefore block the Citicholine release and prevent the communication between the nerve and the muscle, temporarily immobilizing muscles that produce wrinkles. Both are similarly FDA approved for the temporary improvement in the appearance of moderate to severe glabellar lines associated with Procerus and Corrugator muscle activity, i.e. the frown lines. Both are supplied in vials, and the fine powder requiring reconstitution with saline and both are injected in the facial muscles with a 30 gauge needle. In addition, both are also used off label to treat crow's feet and forehead lines or the lip line, essentially anywhere a rhytid or a wrinkle is present. It has been reported that Dysport has a quicker onset, that is, people notice the effect of Dysport in 1-2 days as opposed to 4-7 days with Botox. Also, it is commonly reported that Dysport diffuses over a wider area than does Botox. This make some importance when treating areas around the eyes and that you can use a smaller amount of Dysport and alleviate potential complication such as ptosis (sagging or drooping of the eyelid). There are also some reports that people state that Dysport is less painful although this is not proven in any scientific literature. In addition, there are reports that Dysport may actually last a bit longer than Botox. Typically, Botox remains effective for 3-4 months and some reports say that Dysport may act a bit longer, 4-5 months. 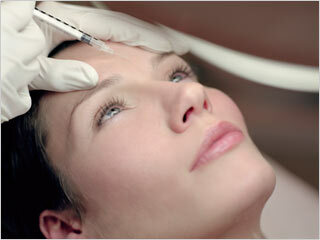 To begin with, Botox is supplied by the manufacturer Allergan in 150 unit vials. Typically the 100 unit vial is supplied for $525. Dysport is supplied by Medicis in 300 and 500 unit vials. The 300 unit vial typically goes for $475. So if the Botox and the Dysport vials are divided by units, one can see that 1 unit of Botox costs $5.25 with 1 unit of Dysport costs $1.50. However, the difference does not equate to a cheaper product if you will because you actually require more Dysport to obtain the same results with Botox. And we will discuss that in a moment. The Botox is used in a fashion exactly the same as Dysport. However 1 unit of Botox does not equal 1 unit of Dysport. Typically, anywhere from 2.5-3 or even 4:1 ratios of Dysport to Botox is effective. So, that is to say that you may require 2.5 or 4 units of Dysport to obtain the same result as you would with 1 unit of Botox. For example, the glabella is typically treated with 5 injections of Botox, 4 units in each site and that's a total of 20 units. With Dysport, you actually use 10 units in 5 sites for a total of 50 units. Another difference is the reconstitution. Reconstitution simply means the product needs to be dissolved in normal saline. There are many ways to do this. I typically apply 2.5 cc's of normal saline to a 100 unit vial of Botox, which will give you 4 units of Botox per 0.1 ml of fluid. With Dysport, you place 1.5 cc's of normal saline into the 300 unit vial and that would equate to 10 units of Dysport per 0.05 mL or cc's of fluid. Those are some of the similarities and differences. I would now like to discuss some of the questions that typically are asked by clients when they are deciding whether to use the Botox or Dysport. One common thing that I hear often is one of the products is better than the other. I explain to them that basically both are the exact same product aside from some molecular differences. And I explain that some report subtle differences regarding quicker onset, but in my experience both products produce the same results and last essentially the same amount of time. Another question I often hear is one of the products associate with more complications than the other product. And I tell them no, that both of the products are associated with the exact same side effects profile. You can obtain bruising, swelling, redness, ptosis from both of the products. However, Dysport is a relatively new product in the United States and Botox has been used for a greater length of time so the exact safety profile of Dysport has not been illustrated to date. Another question I sometimes hear is why should I choose Botox over Dysport? If I'm asked that question, I don't make the decision for the person. I will occasionally help them along by explaining to them that I personally use on family members and what product most clients use. I tell them that they both predicatively improve wrinkles and in my office they're both the same price. You'll read a lot of information that Dysport is cheaper. And of course if you do the math, 7:01 in the beginning you'll see cheaper per unit but you need to use more units. Still, when you do it that way, Dysport does come out to be more affordable. However, I offer them both at the same price after discussion, explaining to them that both of them have the same side effect profile and produce the same results. And if you present them with that information and then say one is more expensive than the other, most people obviously choose the cheaper one so I just keep it in the office as an added product you know, cause some people do actually prefer one product over the other, that's why I keep it in my office. So, in conclusion, although there are subtle molecular differences between Botox and Dysport, both are injected exactly the same way, both have the exact same indications, that is the treatment of facial wrinkles or rhytids and both require reconstitution with normal saline. In addition, both have the similar side effect profiles and both, in my practice are similar in price. Although as mentioned, some practitioners will offer Dysport at a decreased cost. Also, some clinicians do report a quicker onset and a longer duration of action of Dysport but presently, this does not appear to be clinically significant. In my opinion, again, I offer a choice because some people prefer it and other people actually like to try new products. My vote goes to Botox cause of it's long safety record and the fact that it's on the market for such a long time and I have predictable results with the product. However, I do think it's an added product for all aesthetic practices. About: Marc Scheiner MD is the primary instructor for the online botox training course for clinicians at BotoxTrainingMD.com and is the owner of O'leigh Aesthetic Surgery Center in Elkton, Maryland.